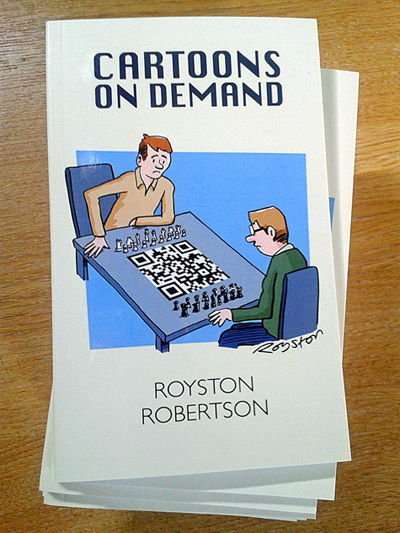 Royston Cartoons: New cartoon book alert! My second collection of magazine gag cartoons is available now. 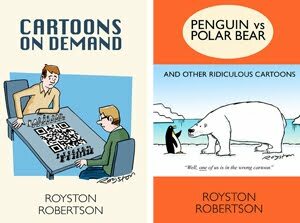 It's called Cartoons on Demand and is the same format as my first book i.e a 104-page glossy paperback with lots of cartoons in it from magazines such as Private Eye, Reader's Digest, Prospect and The Spectator. Head over to my Online Shop where you can see some of the cartoons and buy a signed copy of the book for £5.99 plus £2 p+p. (Or, bargain hunters, you can buy it with the first one for just £11.49 plus £2 p+p). The perfect gift for the cartoon lover in your life etc etc.